Embattled U.S. Sen. Michael Bennet is facing the fight of his life in his re-election campaign and, so, he has tried to position himself as a moderate here in Colorado. One way that he’s done this is to walk a fine line on oil and natural gas issues. Too bad that the League of Conservation Voters is blowing his cover. Look, we hate corporate welfare, too, but getting rid of oil and natural gas subsidies while simultaneously keeping (or god forbid increasing) subsidies to the green energy industry just picks winners and losers, with one of Colorado’s biggest industries forced into the loser category. Likely, this move by LCV is meant to help Bennet with his problematic Democrat base, which is largely composed of frothing environmentalists. 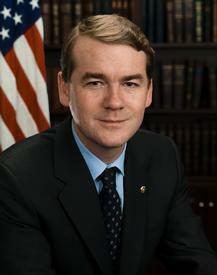 Unfortunately, Bennet cannot both satisfy his base and maintain the support of the oil and gas industry.